Barnes & Noble announced today that Pinterest has launched a dedicated app for many of its Nook tablets, and will come preloaded alongside an overhauled Facebook app for new devices starting today. The Pinterest app is available from the Nook store immediately and should give tablet owners all of the functionality they expect from the pinboard-influenced photo-sharing website. Details of the app are scarce, but it’s likely to resemble the version available for Amazon’s Kindle Fire tablets, given that both platforms have been built on the Android mobile operating system. The revitalized Facebook app is arguably a more influential addition to the Nook platform. Barnes & Noble says users will able to see what their friends are up to, share updates and post photos and videos on the move. Chat and group conversations are also prevalent, mimicking the dedicated Messenger app available on iOS and Android, in addition to games and the various other features central fo the Facebook experience. Both apps are supported by the Nook HD, Nook HD+, Nook Tablet and Nook Color, and will come preloaded alongside the Twitter app for future devices. 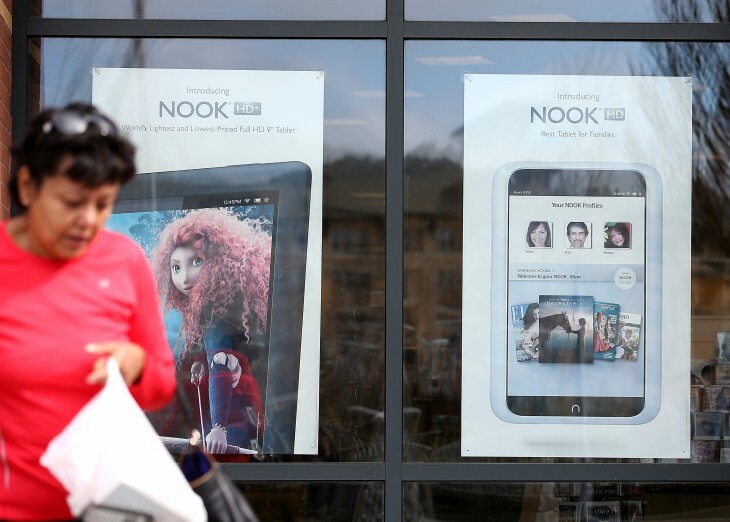 Barnes & Noble has struggled to create a momentum and brand awareness with its Nook products that can compete with other media-centric tablets, such as Amazon Kindle Fire HD, in addition to more powerful slates such as the iPad/iPad mini and Nexus 7/10. The company has made a few notable changes to try to reverse that state of affairs, however, with the launch of a new self-publishing service for authors called Nook Press. Barnes & Noble also launched a new deal, whereby users will receive a free Nook Simple Touch e-reader with every Nook HD+ order. It’s a tantalizing offer, and shows the extent to which the company is prepared to undercut Amazon. App support will always be an issue for struggling platforms such as the Nook range, but the addition of Pinterest and continued support from Facebook shows it still has a fighting chance.